This was the third time that I had ventured towards Chikka Tirupati. The road from my house to Whitefield has improved. However, the road between Whitefield to Chikka Tirupati at present is doomed. There were segments which would put Paris-Roubaix’s cobbled roads to shame. In the wee hours of the morning, when the light was insufficient, my ride companion accidentally steered into a pothole and fell. He had minor bruises on his palms and one light scratch on his knee. The roads in Bangalore are too dangerous and it is advisable to mount a front light. This was one of the beautiful shots that I managed to capture. 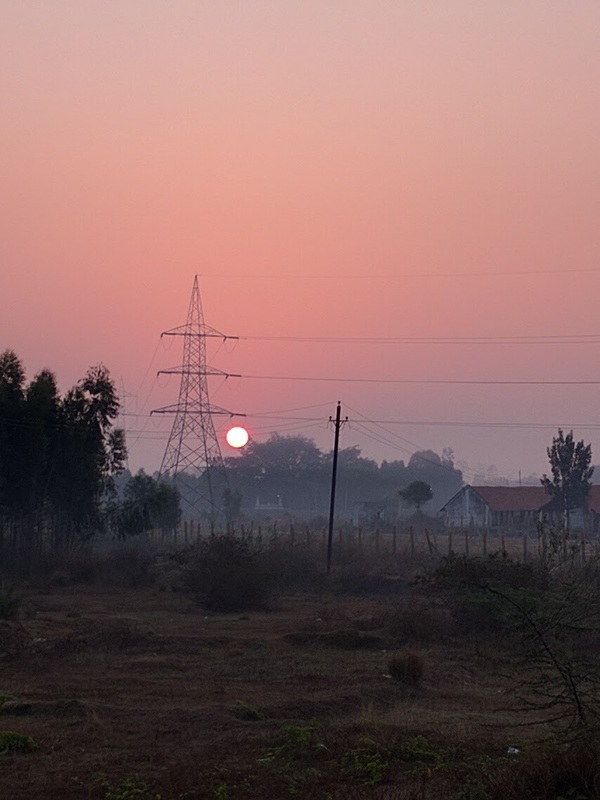 At around 6:30 am, the Sun was visible in the sky. Mount some lights on my cycle. I have lights on my hybrid which I can remount on my roadie. Improve my functional threshold power. 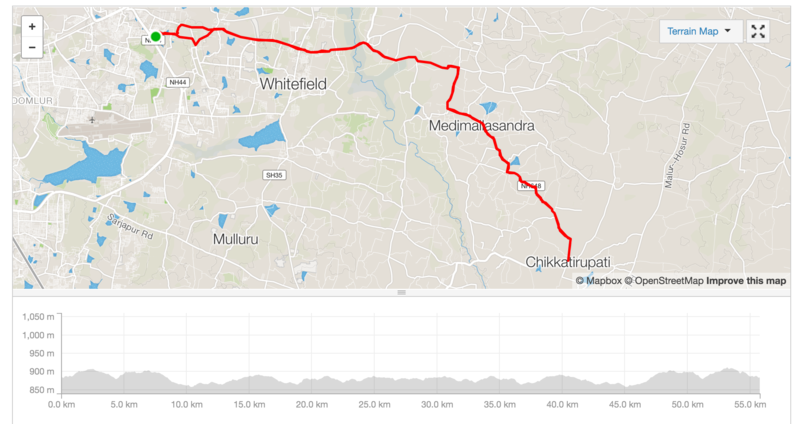 My average is around 22-23 kmph on normal, relatively flat roads over 20+ kms. I met quite a few guys who were riding up and down. They appeared to be lost. One of them even asked me if I was Pawan. At another location, a solo rider offered us help. We were just hydrating and recuperating at the side of the road. He must have mistakenly assumed that we had some issues. Somewhere on the route, a kid even shouted, “Uncle! What a comedy!” I had no clue what he was referring to. Usually, the other kids are ecstatic and they usually wave when they see a cyclist whizzing by.